Every now and again something in life changes. It could be a small change, like the sun coming out or it could be something much more dramatic, a change of job or even the loss of someone close to you. But whatever it is, something snaps and a small switch flicks and the sign lights up that says, “Hey you! Yes you! Time to do something different!”. This blog is the result of sitting on one of those switches, leaping up in the air…. and landing in front of my keyboard. For me the motivation was the project for a particular customer, one that I won’t mention directly. I can safely say that this project has inspired me more than any other to date. The people, the ideas and the pragmatism. Of course, being inspired also made me think about sharing some of the less inspiring moments with the world and thus the blog was born. 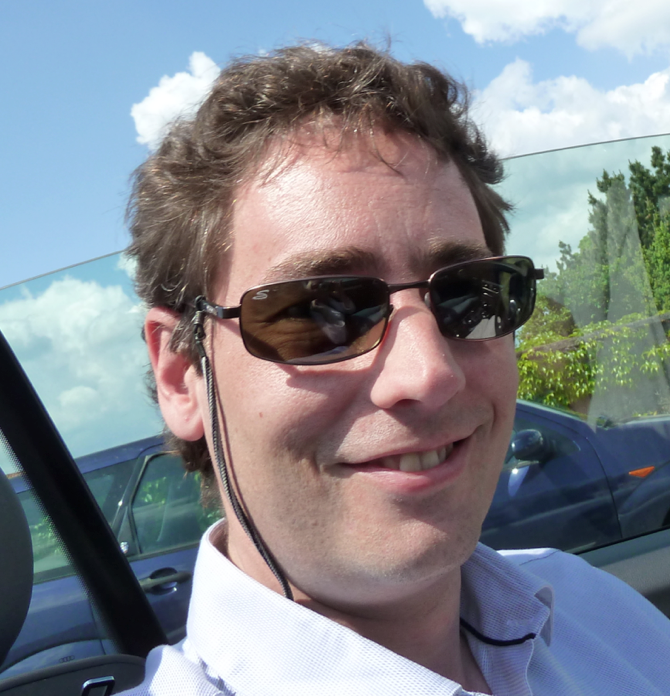 My name is Richard Gledhill, I’m a Principal Consultant and a member of the Board at Infocentric in Baden Switzerland. I spend my day working on projects and helping our customers get to grips with the revolution that is the Digital Workplace. I lead a relatively healthy life, cycling in the summer, skiing in the winter and sailing whenever I get the chance. I’m an yachtmaster and RYA cruising instructor and would love to spend all my time doing that, but I’ve a few years more consulting in me before I give in to the pull of the Sea. I’ve been working with computers ever since I discovered that I didn’t really want to be a doctor, couldn’t hack being a dentist (2 weeks work experience put me off for life) and found that after 2 years of teaching that I really wanted more money to get better computers to play on. I’ve been playing with computers a heck of a lot longer than that. In 2000 I had the wonderful title of Head of Voice and Data networking for the UK branch of a Swiss Insurance company. That job put be in charge of data security, which meant I had to try and keep some form of control over the new boys with their flashy websites that were trying to drill holes straight through into our core systems. I ended up to have a might too much to do with web designers, information architects and business analysts that I would have liked. One day, during a round of company restructures, I was offered a choice, relocate from sunny Kent to Liverpool OR go to Zurich and be something to do with eBusiness in head office. I didn’t speak either language. He was right. Partly. But it’s not the Swiss per se. It’s the corporate culture that has embedded itself in many organisations. Switzerland IS different, it’s more based on consensus than other countries and that can be hard to deal with until you understand it. But I’m not going to get into a discussion about stereotyping countries now (maybe later if you ask me nicely). I moved to Switzerland and spent nearly 10 years with assorted job titles but essentially as head of e-business for that insurer and changed my life totally. I managed anything that needed a browser to work and drove myself insane, primarily arguing about the same budget and same necessary developments every year for four or five years. In the one of the company’s regular and cyclic restructures, I managed to make myself redundant and to take some time out to recover. I took more sailing qualifications, changed jobs and started happy again. My greatest pleasures in life are working with good customers that challenge me and then relaxing ideally with snow or water in the vicinity!